In an effort to assist the City’s Park Department, the Park Committee has taken on the responsibility of mowing the Dog Park. The Committee’s call for volunteers was answered by Lakeport City Councilmember, Bob Rumfelt. 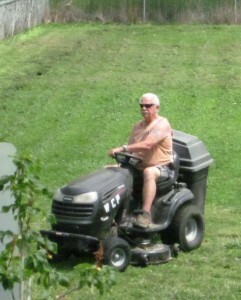 He stepped up to use the Committee’s mower to relieve the City crew from this weekly responsibilty. Councilmember Rumfelt began this past weekend. If you would like to help, send an email to speciald5@sbcglobal.net.